Some people are more visual learners. They need to have that pride and accomplishment feeling to be motivated to save. While it’s great to have a savings account set up for your teen, also having a visual app or a piggy bank is a great idea. This allows your teen to see the buildup of their savings, even if it’s a jar where they simply put extra change into each day. The best way to encourage your teen to save money is to teach them how to set goals. These goals can be small to large depending on what your teen desires to save money for. Have you teen create a list of things (or maybe saving jars in Homey app!) they want to buy now and in the future so that they have short and long-term goals to visualize as they work to toss some money into their savings account on a regular basis. When your teen has goals in mind, it encourages them to save naturally. Lastly, this is a creative way to encourage teens to save money. We all have seen companies match IRS savings dollar to dollar up to a specific amount, so why not try this method with your teenager. For every amount that your teen saves, match them up to a certain dollar amount each month. This will help them double their money and truly encourage them to want to save money on a regular basis. Take into consideration how much money you can safely match with your teen’s savings every month first. 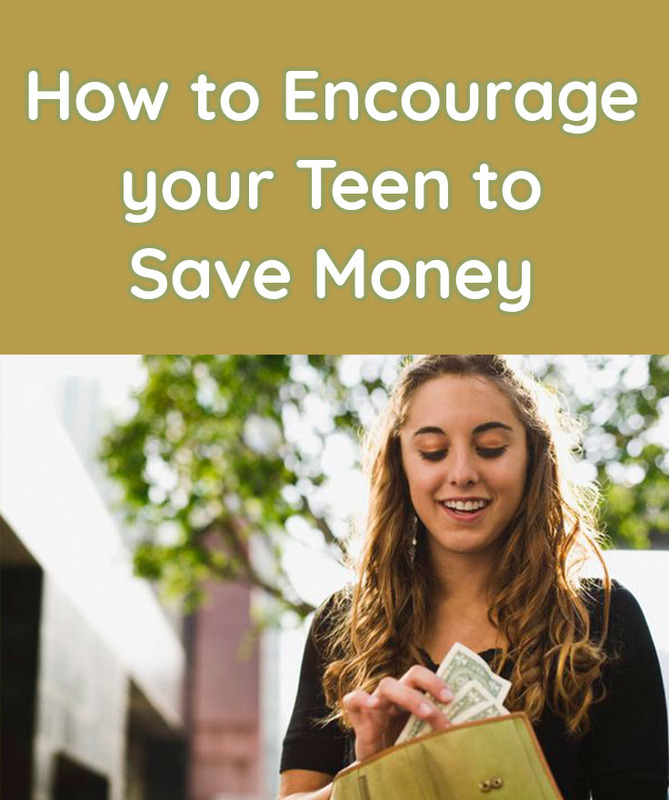 These are my few easy tips to help encourage your teen to save money. Remember, teenagers are not quite adults, but not really children anymore. That’s why the best way to teach your teenager to save is by encouraging, versus lecturing.